Probably the number one factor that separates a hipster retro gaming from a legit retro gamer, is the fact that a legit retro gamer has a history with the games that dates back to when they first came out. With that said a legit retro gamer also has the burden of memory and perception about the games that doesn’t necessarily allow him or her to see the truth about a game. 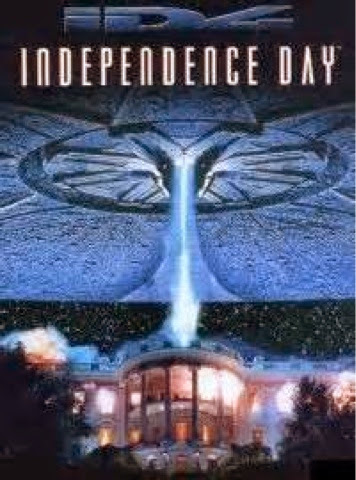 I like to refer to this as “Independence Day” syndrome, not in reference to the recent holiday weekend, or the holiday at all but rather the 1996 Sci-Fi summer blockbuster. If you’re as old as me you probably remember the movie and hype about it back in 1996. Like the big Sci-Fi channel interview with Will Smith, Bill Pullman, and Jeff Goldblum, and the rumor that the film was so epic it would only play over the holiday weekend. I was one of those drawn in by it all and I decided to go see the film on July 4th, and treat my parents to the movie as well. It was awesome, and it was the biggest, splashiest, star studded epic movies I had ever seen. It may not have been the greatest movie ever but it was (in my mind at the time) one of the best sci-fi movies ever made, and the best film of the year. I went on to see it a few more times that year in theaters and made sure to catch it on HBO and few more times in 1997 and 98. Flash forward to 2010, and the movie shows up on Netflix. 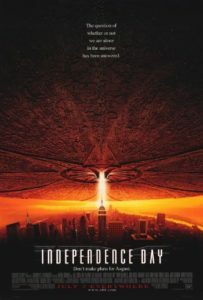 My son is a big sci-fi nut and is making up his own stories about planes shooting down flying saucers, and I decide maybe it’s time to let him see Independence Day. I expected to be overcome by the same awesomeness I remembered from 1996, but sadly I wasn’t. What I found was a traditional superficial summer blockbuster, filled with star power, gratuitous explosions, predictable plot, and cliché characters and lines. It was still entertaining none the less, but I felt disappointed compared to what I remembered. superficiality of it all (thank you TCM!). I mean after all how do you compare a masterpiece like The Kings Speech, to a film like Independence Day and not feel as if there is some inequality in the depth of plot, characters, and level of acting between the two movies? With that said, this all sums up defining what I like to call “Independence Day” syndrome. It’s that memory of what a movie or game was like as a kid compared to what it is now. As legit retro gamers we poured hours into playing and/or dreaming about games. Whether it was playing StarFox at a local store after it came out, plugging Command & Conquer into the PC for the first time, or being blown away by Gran Turismo on the PlayStation (1). Years later though the question is how do these games stand up after the march of time, and advancements in games, consoles, and controllers? 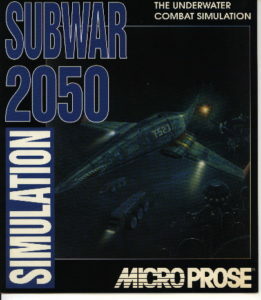 As a teen I remember getting Microprose Subwar 2050 on PC. I bought after looking at it in the store for a month and finally getting enough cash together to buy it. I got it home installed all the disks, got through the awesome opening scene and…nothing. The game crashed and I never got very far into it, I upgraded my computer and still it wouldn’t work the right way. It came down to some sort of graphics card non-sense or other. 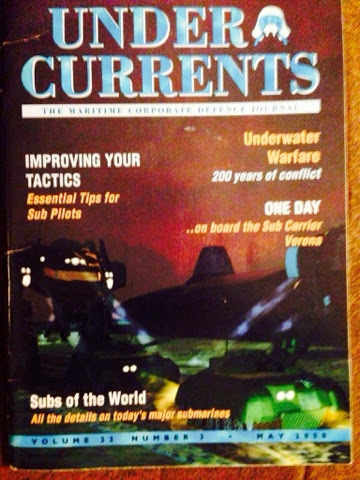 I spent hours looking at the back of the box, and read Under Currents the manual/book included with it over to cover. To me it was the coolest thing, a future of underwater mining, and super submarines that performed underwater roles similar to modern aircraft. It completely captured my imagination and even inspired part of my senior research paper in high school. As time went on the frustration of loading in the damn game in just made me forget it entirely, although the concepts remained. 20 years later (i.e. early this year) after hearing a lot about Steam and GoG I decided to check both websites out. I had to do a double take when I saw that GoG had Subwar 2050 in its library, since I thought the game would have been pretty obscure. A few months later I finally downloaded it and was shocked to actually get past the intro screen and into the game. I began to play it and as cool as it was, I quickly began to become a bit disappointed, for what I had found was a game that was glitchey and at times unplayable. For instance the forth training mission could never end because the submarine stops working and starts spins out control into black space and grid work, and the second mission in the Bermuda Triangle seems to go nowhere after you make it to the last waypoint, and getting back to the carrier is impossible. All the anticipation about the game seemed to fall to pieces as I realization that Microprose released a buggy mess. This game had the potential to have become a cool and timeless new take on the flight sim, with the originality of delving into a future of underwater subfighters, that no other game company ever thought of at this point, but what we got instead was extremely sad. Much like Independence Day I still think Subwar 2050 is entertaining and unique, and for its time, epic. Still being a huge fan of much of Microprose work, but time and memory have taken their toll and instead of getting the kind gaming experience I expected, I instead was let down by Microprose having given us a game that should have been released later after testing had corrected all the bugs and glitches. As legit retro gamers we all have our Subwar 2050’s, that game that haunts our memory’s with coolness as kids, and leaves us let down as adults. I’m sure no matter what platform you play(ed) there is that one game that has you asking “WTF did I see in this game as a kid?”, and if you have had “Independence Day” syndrome too. So feel free to share what game(s) you think make that list for you.